Welcome to Brazil! Journey by road six hours northwest from Rio de Janeiro and you’ll arrive to Sete Lagoas, a city whose name means ‘Seven Lagoons’ in Portuguese. Although cloistered in farmlands, the city is largely a commercial centre, but also the seat of Embrapa Milho e Sorgo, the nerve centre of EMBRAPA’s maize and sorghum research, and so could pass for the ‘sede’ (Portuguese for headquarters) of the these two cereals. EMBRAPA is the Portuguese acronym for Empresa Brasileira de Pesquisa Agropecuária; the Brazilian Agricultural Research Corporation. EMBRAPA is a GCP Consortium member, and contributed to the proposal that founded GCP. Jurandir Magalhães (pictured), or Jura, as he likes to be referred to in informal settings such as our story today, is a cereal molecular geneticist who has been working at the Embrapa Milho e Sorgo centre since 2002. 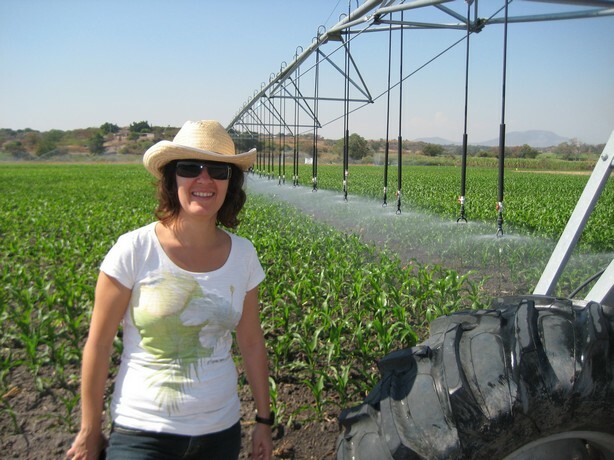 “The centre develops projects and research to produce, adapt and diffuse knowledge and technologies in maize and sorghum production by the efficient and rational use of natural resources,” Jura explains. Such qualities are exactly what appeal to GCP, which has supported Jura as a Principal Investigator since 2004. Beyond science and on to governance and advisory issues, Jura is also EMBRAPA’s representative on the GCP Consortium Committee. Hailing from Belo Horizonte, Minas Gerais State, where he was born, Jura attended the Federal University of Viçosa in his home state. 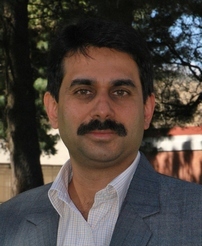 Upon completing his Master’s degree at the university in 1995, he proceeded to USA’s Cornell University in 1998 for his PhD, under the watchful eye of Leon Kochian, another GCP Principal Investigator. At Cornell, Jura worked with Leon on identifying the genes associated with aluminium tolerance in sorghum. “At the time, genes associated with aluminium tolerance were known for cereals in the Triticeae family (wheat, barley and rye). 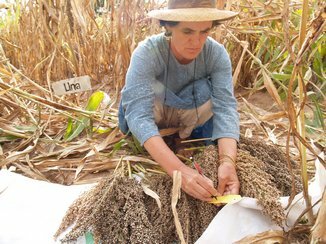 But the same genes were not found in the Poaceae family (sorghum, rice and maize). This suggested that there were different aluminium-tolerance genes at play, so it was a really pioneering project.” Continuing with the Cornell team after his PhD, Jura worked with Leon to map the location of a major aluminium-tolerance genetic ‘hotspot’ in sorghum, which the project team contracted to AltSB for short (aluminium-tolerance gene or locus in Sorghum bicolor). The mapping also marked the next chapter of what was to be a long-term professional relationship for the pair. But in between, Brazil broke in and beckoned her native son home. 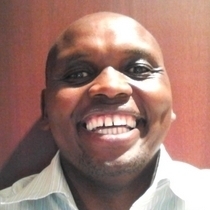 And so it was that in 2002, Jura packed his bags and accepted a position with EMBRAPA’s maize and sorghum research centre. And despite the geographical distance, it wasn’t long before he and Leon teamed up again. “When I left Cornell, Leon and I had finished mapping AltSB and we were keen to clone it so we could then develop aluminium-tolerant sorghum varieties more efficiently,” says Jura. 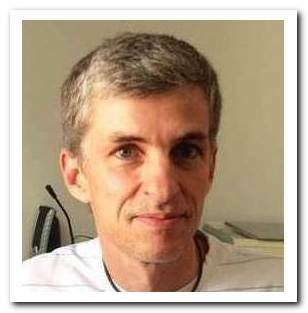 Two years after his return to Brazil, Leon and Jura – in 2004 – submitted a joint proposal for a competitive grant for their first GCP project on aluminium tolerance in cereals, premised on AltSB. This project contributed to GCP’s foundation work on sorghum in this and other projects, the common goal being a bid to provide farmers in the developing world with sorghum crops that would be able to tolerate harsh soils. But the project contributed much more with a deep taproot in pre-history, as that which we today call ‘sorghum’, ‘maize’ and ‘rice’ were once one millions of ‘Jurassic’ years ago. More on that interesting side-story. And since this first project, EMBRAPA and Cornell University have collaborated with several other research institutes around the world, particularly in Africa. 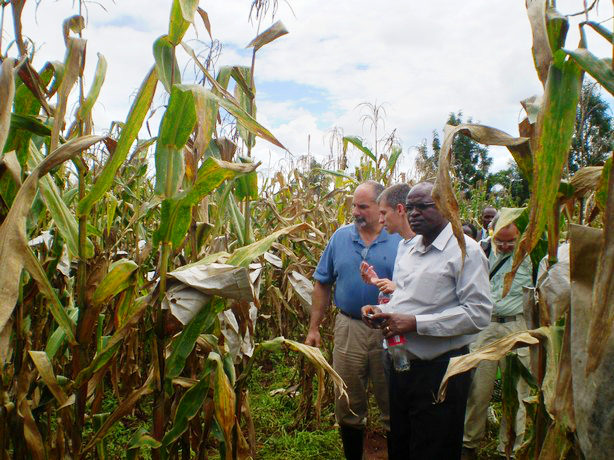 Left to right (foreground): Leon, Jura and Sam Gudu (Moi University) examine crosses between Kenyan and Brazilian maize, at the Kenya Agricultural Research Institute (KARI), Kitale, in May 2010. Jura leads several EMBRAPA and GCP collaborative projects across three continents (Africa, Asia and the Americas). The partnerships forged by and through these projects go well beyond project life and frame, and will therefore continue after GCP’s sunset. Jura is both team leader and team player. And a couple of GCP projects in which Jura is part of the project team will run on in 2015 (see page 10), after GCP’s closure in December 2014. Andrew Borrell (pictured) is a man who loves his work – a search for a holy grail of sorts for the grain of his choice – sorghum. Based at the University of Queensland, Australia, Andrew is co-Principal Investigator with David Jordan for a GCP-funded project developing drought-adapted sorghum for Africa and Australia. And Andrew is passionate not just about the potential of sorghum, but also about the cross-continental relationships that underpin his research team. These friendships, says Andrew, are the glue that hold his team together and make it work better. The year 2013 was particularly exciting. After almost five years working with African plant breeders to improve genetic material, field trials were up and running at 12 sites across East and West Africa. Fastforward to 2015 and glad tidings for the New Year! 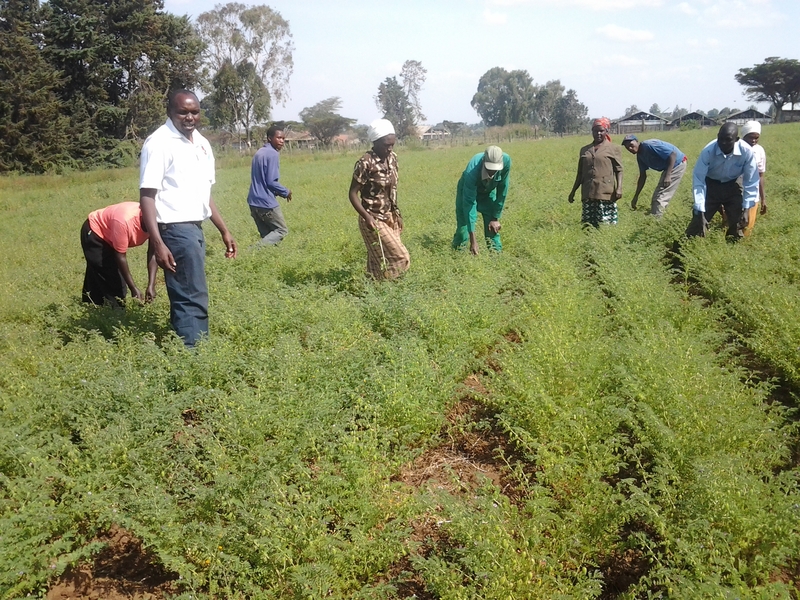 Andrew and his team now have preliminary evidence that the drought-tolerant ‘stay-green’ trait enhances grain size and yield in some of the target countries in Africa for which data have already been analysed. What Andrew hopes to see is more genetic diversity, not just for diversity’s sake but put to use in farmers’ fields to enhance yield during drought. 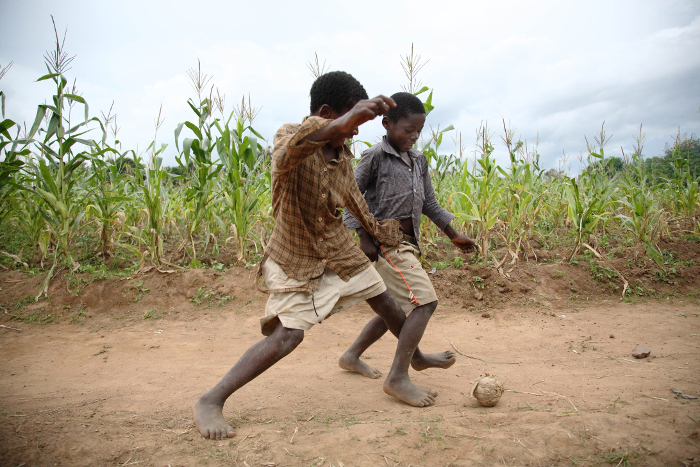 This means more food, fodder and other sorghum by-products such as stems for construction. These benefits to humanity are, he says, the real driver of the work his team does. The sought-after ‘stay-green’ trait that Andrew and his team are so interested in describes the phenotype – what the plant looks like. 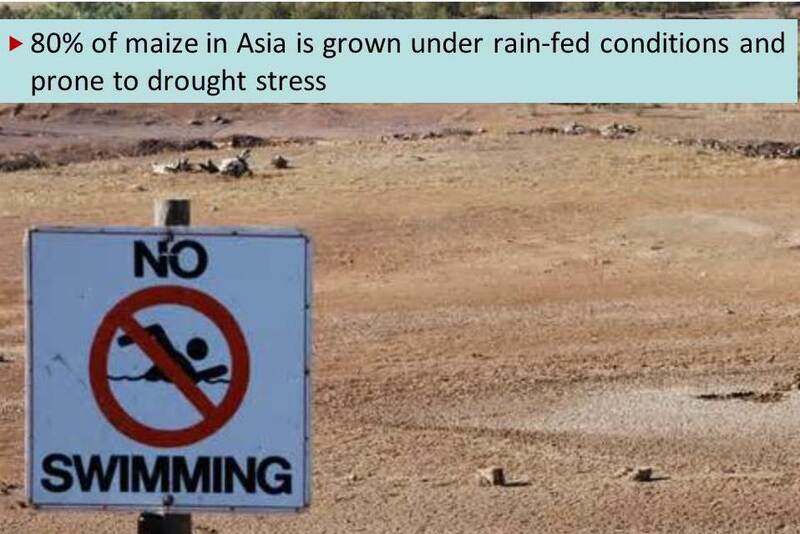 It simply means that when drought strikes, sorghum plants with this trait remain leafy and green during the grain-filling period – a critical time when the plant’s water is channelled to developing healthy panicles of grain. So, what makes these plants remain healthy when others are losing their leaves? Why do they wax while others wane? The answer, says Andrew, is twofold, and is all to do with water supply and demand, and more and less. Firstly, there is some evidence that the roots of the stay-green plants penetrate deeper into the soil, tapping into more water supply. Secondly, plants with the stay-green trait have a smaller leaf canopy which means less water demand by the plant before flowering, leaving more water for grain-filling after flowering. Another key feature of the stay-green trait in sorghum is that it is not just a fair-weather friend: it works well in wet as well as dry conditions. “All the evidence we’ve got suggests that you get a benefit under tough conditions but very little penalty under good conditions,” says Andrew. For Andrew and his co-Principal Investigator, David Jordan, the GCP project is the first time they have been involved in improving sorghum in Africa. The two scientists work with sorghum improvement teams in six African countries: Mali, Burkina Faso and Niger in the west, and, Ethiopia, Kenya and Sudan in the east. By crossing African and Australian sorghum, the teams have developed the lines now being field-tested in all the six countries. A sampling of some of stay-green sorghum partnerships in Africa. (1) Asfaw Adugna (Ethiopian Agricultural Research Institute) assessing the genetic diversity of sorghum panicles produced from the GCP collaboration at Melkassa, Ethiopia. (2) Clarisse Barro-Kondombo (Institut de l’environnement et de recherches agricoles, Burkina Faso) and Andrew Borrell (Australia) visiting a lysimeter facility at ICRISAT in Hyderabad, India, as part of GCP training. (3) Clement Kamau (Kenya, left) and Andrew Borrell (Australia, right) visiting the seed store at the Kenya Agricultural Research Institute (KARI) in Katumani, Kenya. It wasn’t all work and there was clearly also time to play, as we can see here, Sidi Coulibaly and Niaba Teme from Mali visit the Borrell family in Queensland, Australia. As Andrew and his team wait to see how their field experiments in Africa turn out, they know that this is not the end of the story. In fact, it is only the beginning. 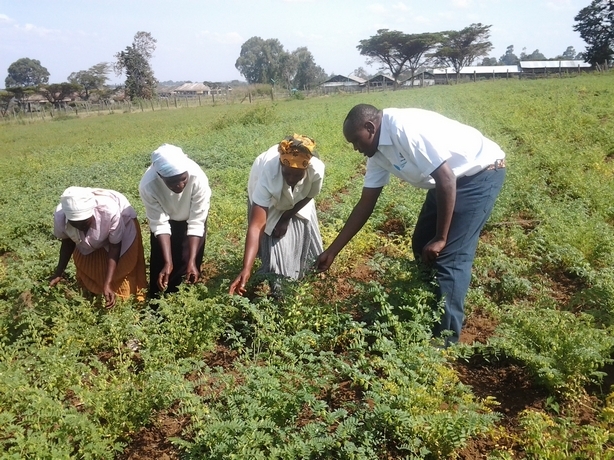 Once tested, the germplasm will provide genetic diversity for future breeding programmes in Africa. And the research collaboration between Australia and Africa won’t end when GCP funding runs out and GCP sunsets. 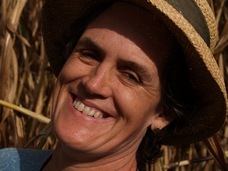 For example, in addition to the GCP project, David Jordan has secured significant funding from the Bill & Melinda Gates Foundation for another four years’ sorghum research in Ethiopia. Plus, Andrew and Kassahun Banttea, a colleague from Jimma University, have also just been awarded a PEARL grant from the Foundation to assess the sorghum germplasm collection in Ethiopia for drought-adaptation traits. We wish this ‘stay-evergreen’ team well in their current and future ventures. More sorghum ‘stickability’ and staying power to them! May they find the proverbial pot of gold at the end of the rainbow. 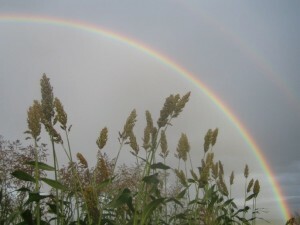 This enchanted rainbow-rings-and-sorghum photo is from Andy Borrell, and, contrary to the magical song, please continue under the rainbow for links to more information. Andy has been a constant star at our GRM poster sessions, winning several awards here, here and here, a mix of both the light & fun and educational & serious awards that have been the hallmarks of our poster sessions. Imagine the scene: it is the dead of night, and you are engaged on a dangerous mission. You are tense, alert for any noise. You must complete your task without being seen, or risk the shame and humiliation of failure… but it is not a pleasant undertaking! Your mission? A critical matter of honour. 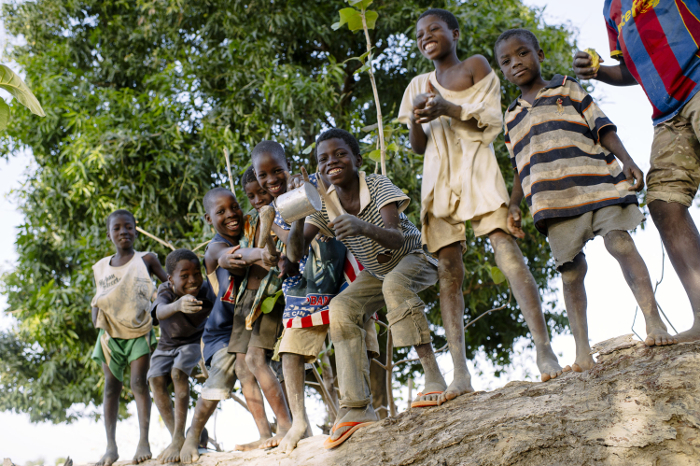 To dispose of your family’s cassava peelings – not with the rest of your household waste, but smuggled into the murky depths of the pit latrine. Why? 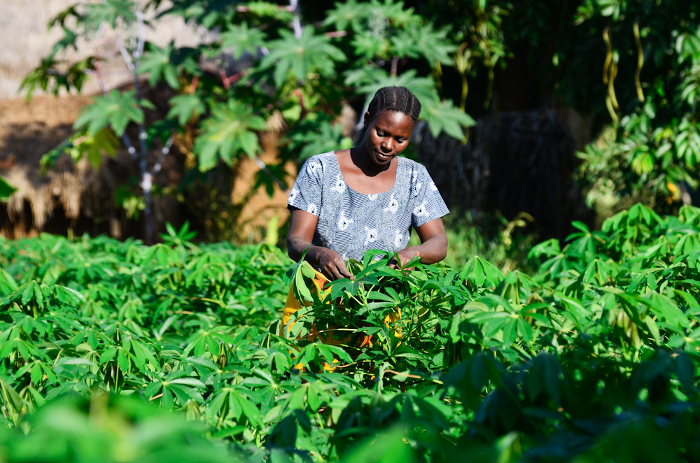 The story is not the same everywhere: graceful and strong, this farmer tends her field of cassava, in the village of Tiniu, near Mwanza, northern Tanzania. 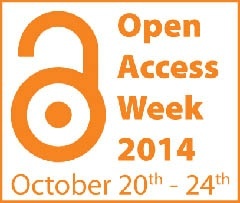 This year, 20–26 October is Open Access Week, a global event celebrating, promoting and sharing ideas on open access – that is, making research results, including both publications and data, freely and publicly available for anyone to read, use and build upon. Even more exciting for us, this year’s theme is ‘Generation Open’, reflecting the importance of students and researchers as advocates for open access – a call that falls on fertile ground at the Generation Challenge Programme (video below courtesy of UCMerced on YouTube). We at GCP have been reflecting this week on different virtues of openness and transparency, and the perils of shame and secrecy. But before we go on, we’re sticking with cassava (carrying over from World Food Week!) but crossing the globe to China to celebrate the latest open-access publication to join the GCP parade. ‘Cassava genome from a wild ancestor to cultivated varieties’ by Wang et al is still practically a newborn, published on the 10th of October 2014. The article presents draft genome sequences of a wild ancestor and a domesticated variety of cassava, with additional comparative analyses with other lines. It shows, for example, that genes involved in starch accumulation have been positively selected in cultivated cassava, and those involved in cyanogenic (ie, cyanide-producing) glucoside formation have been negatively selected. 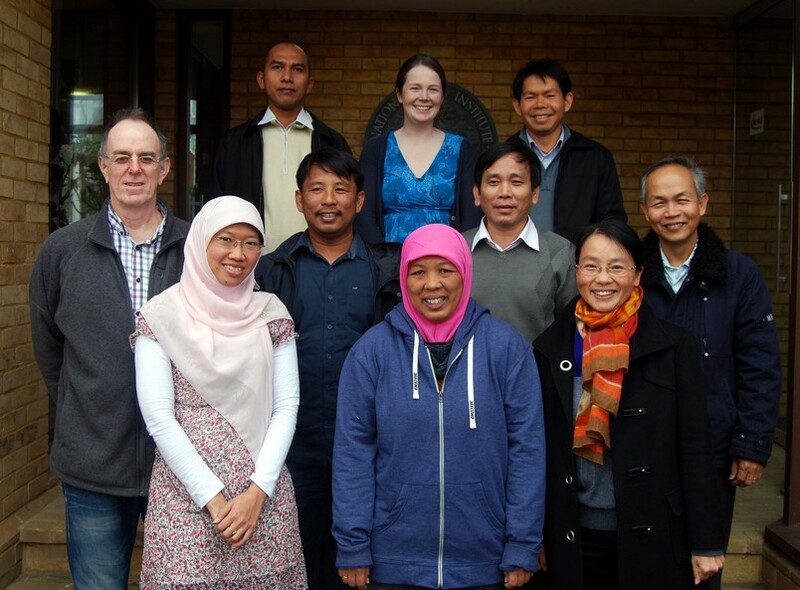 The authors hope that their results will contribute to better understanding of cassava biology, and provide a platform for marker-assisted breeding of better cassava varieties for farmers. The research was carried out by a truly international team, led by scientists from the Chinese Academy of Tropical Agriculture Sciences (CATAS) and Chinese Academy of Sciences (CAS). Authors Wenquan Wang of CATAS and Bin Liu of CAS are delighted that their publication will be freely available, particularly in a journal with the prestige and high impact of the Nature family. As they observe, the open access to the paper will spread their experience and knowledge quickly to every corner of China and of the world where people have internet connections. The work incorporated and partially built upon previous work mapping the cassava genome, which was funded by GCP in our project on Development of genomic resources for molecular breeding of drought tolerance in cassava (G3007.03), led by Pablo Rabinowicz, then with the University of Maryland, USA. This provides a perfect example of the kind of constructive collaboration and continuation that open access and sharing of research results can facilitate: by building on what has already been done, rather than re-inventing the wheel or working in isolation, we share, disseminate and amplify knowledge more rapidly and efficiently, with win–win outcomes for all involved. One thing that makes the latest research even more special is that it was published in Nature Communications, which marked Open Access Week by going 100 percent open access from the 20th of October, making it an open-access flagship within the Nature Publishing Group – a clear indicator of the ever-increasing demand for and credibility of open-access publishing. We congratulate all of our open-access authors for making their work publicly available, and Nature Communications for its bold decision! 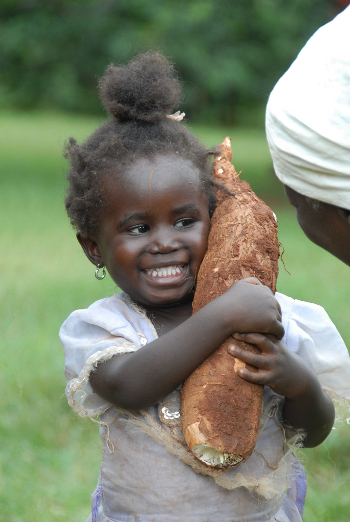 No shame here: a little girl clutches a cassava root in Kenya. Of course, human beings worrying about their social status is old as humanity itself and nothing new. Food has never been an exception as an indicator. Back in mediaeval Europe, food was a hugely important status symbol: the poor ate barley, oats and rye, while only the rich enjoyed expensive and prestigious wheat. Although our ideas about what is luxurious have changed – for example, sugar was considered a spice thanks to its high cost – rare imported foods were something to boast about just as they might be today. 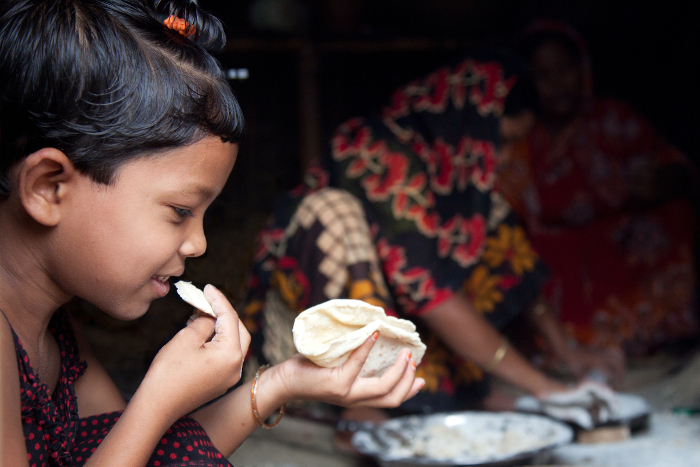 But why are we ashamed of eating the ‘wrong foods’ – like cassava – when we could take pride in successfully feeding our families? 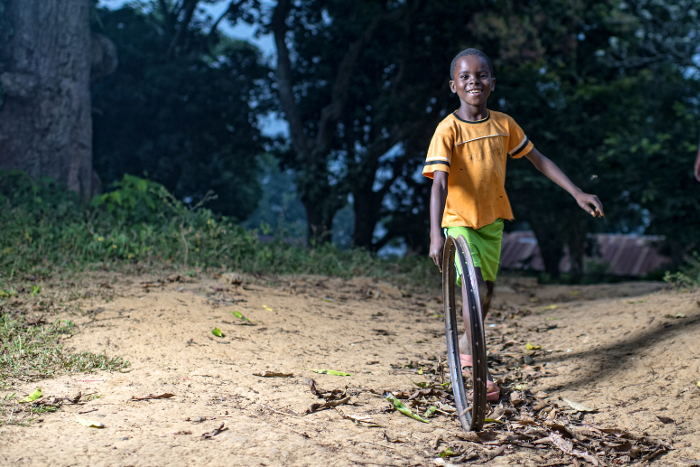 Many of the things we tend to try to hide are really nothing to be ashamed of, and a simple change in perspective can turn what at first seem like weaknesses into sources of pride (and there are two sides to the cassava saga, as we shall see later). 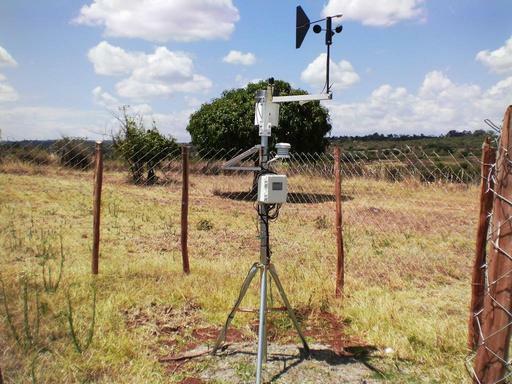 Transparent decision-making processes for determining choices of methods have also improved the quality of our science, while open, mutually respectful relationships – including open data-sharing – have underpinned our rich network of partnerships. One aspect of this open approach is, of course, our commitment to open access. All of our own publications are released under Creative Commons licences, and we encourage all GCP grant recipients to do the same, or to pursue other open-access options. When exploring our research publications you will note that many are directly available to download. Our website will act as an archive for the future, ensuring that GCP publications remain online in one place after GCP’s closure in December this year. See our Global Access Policy and our policy on data-sharing. 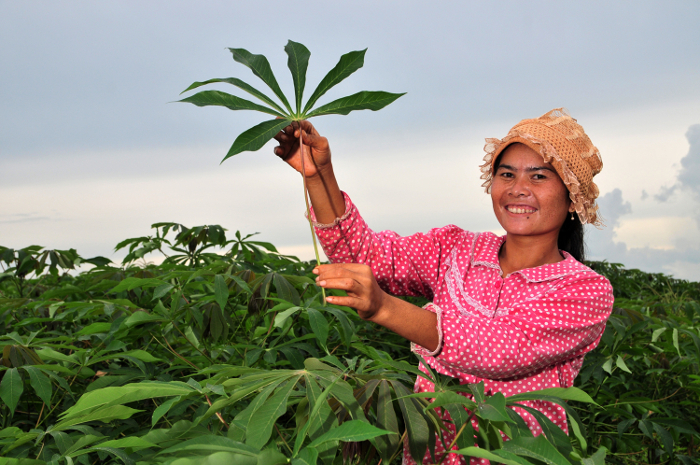 Proud in pink and polka dots: a farmer shows off a healthy cassava leaf in a plantation in Kampong Cham, Cambodia. 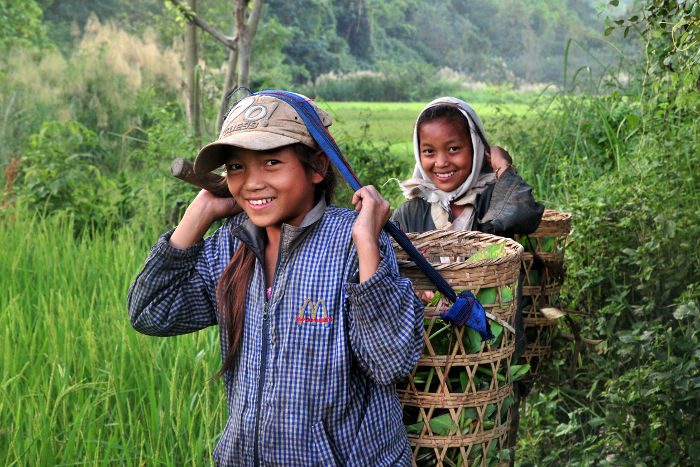 Our partners at the International Center for Tropical Agriculture (CIAT) already have a strong open-access policy, and are debunking some cherished open-access myths. 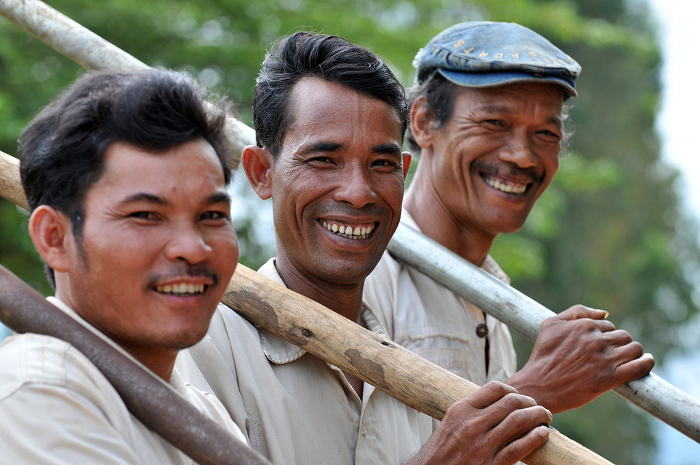 The power of openness is already showing itself in the case of cassava, as well as other root, tuber and banana crops. Check out RTBMaps, an online atlas developed by the CGIAR Research Program on Roots, Tubers and Bananas (RTB), using ‘scientific crowdsourcing’ to combine data on a wide range of variables, shared by many researchers, in a single map. Putting all that information together can help people make better decisions, for example on how to target breeding, or where disease threats are likely to be strongest. And for a sweet serving, here’s our humble contribution from Phase I to a world-favourite dessert! We leave you with one final thought. 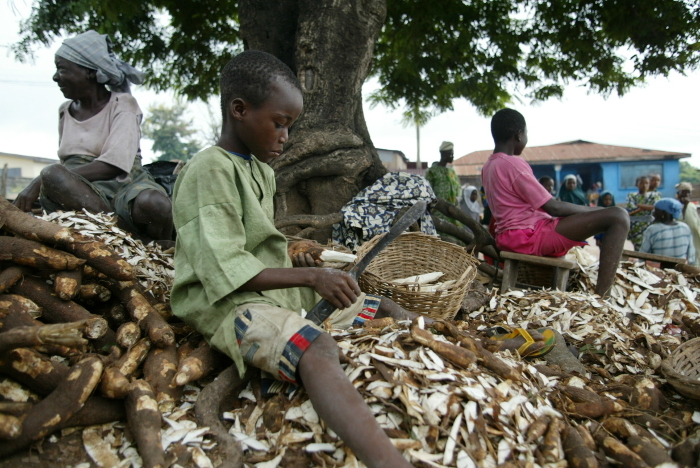 It is not just cassava that is plagued with pride and prejudice; many foods attract high or low statuses in different regions – or even just variations of the same food. 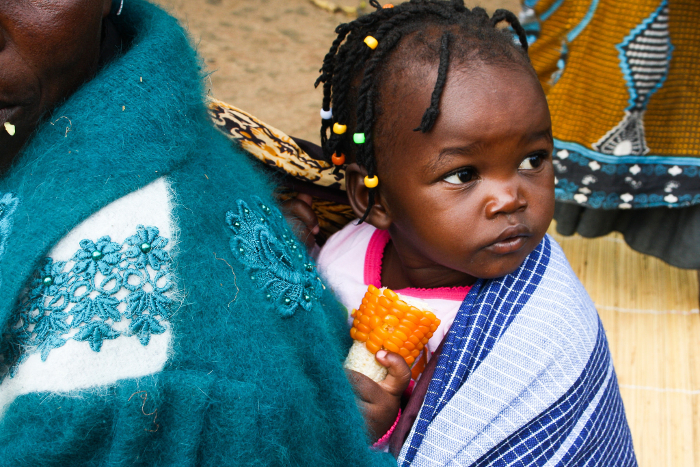 People in Asia and North America, for example, tend to prefer yellow maize, while Africans like their maize white. In fact, yellow maize still carries a powerful stigma in many parts of Africa, as this was the colour of the maize that arrived as external aid in periods of famine, oftentimes perceived in Africa as animal fodder and not human food in the countries it was sourced from. And thus yellow maize became synonymous with terrible times and the suffering and indignity of being unable to feed oneself and one’s family. Consequently, some of the famine-stricken families would only cook the yellow ‘animal-fodder’ maize in the dead of night, to avoid ‘detection’ and preserve family pride and honour. This might at first blush appear to be a minor curiosity on colour and coloured thinking, were it not for the fact that when crops – such as sweet potato, cassava, or indeed maize – are bred to be rich in pro-vitamin A, and so provide plenty of the vitamin A that is particularly crucial for young children and pregnant women, they take on a golden yellow-orange hue. When promoting the virtues of this enriched maize in parts of Africa, it’s vital to know that as ‘yellow maize’ it would fall flat on its face, but as ‘orange maize’ or ‘golden maize’ it is a roaring success. A tiny difference in approach and label, perhaps, but one that is a quantum leap in nutritional improvement, and in ‘de-stigmatisation’ and accelerating adoption. Ample proof then that sharing details matters, and that it’s good to talk – even about the things we are a little ashamed of, thereby breathing substance into the spirit of the theme ‘Generation Open’. Do have some of these uncomfortable but candid conversations this Open Access Week and live its spirit to the fullest every day after that! 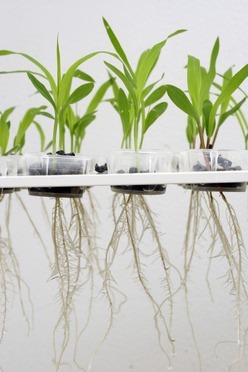 As for us here at GCP, we shall continue to sow and cultivate the seeds of Generation next for plant breeding into the future, through our Integrated Breeding Platform which will outlive GCP. 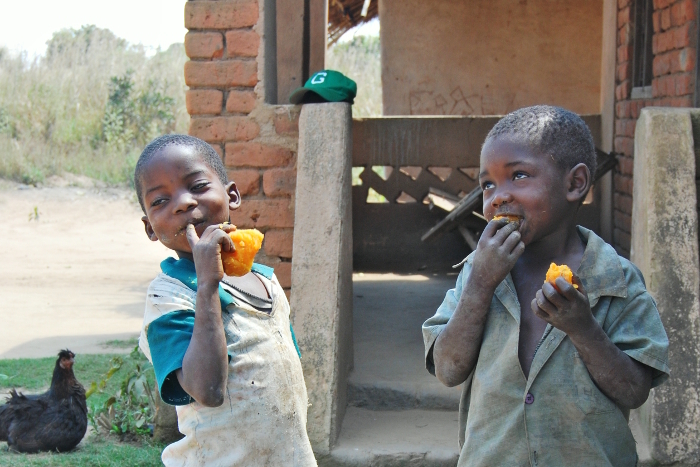 A little girl in Zambia gets a valuable dose of vitamin A as she eats her orange maize.